Northwest National Real Estate: Sold! Charming Newer House! PRICE REDUCED! A remarkably clean, classic, custom home for sale that sits on nearly 5 acres of land. This great house was recently built by craftsman, and is built to last. Property includes many specialty features such as a double garage, an additional single car garage, an excellent well, a covered wrap around porch and more! This Grangeville, Idaho home has an open floor plan, hardy plank siding and mountain views galore. 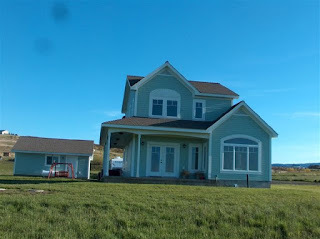 Located only a few miles away from the many hiking trails of the Nez Perce National Forest, this property can offer a multitude of recreational activities. Such as fishing in the South Fork Clearwater River which is just minutes down the road! The Clearwater River is known as one of the best steelhead and chinook fly fishing rivers in the lower 48! This real estate is a must see and is priced at $249,000. Contact Jim Moody at 208-983-7878 for more information and to set up a showing.